Possibly, Index has been able to form only the first wave inside wave 3. In this case, in the nearest future market is expected to form initial ascending impulse and start significant ascending movement inside wave . 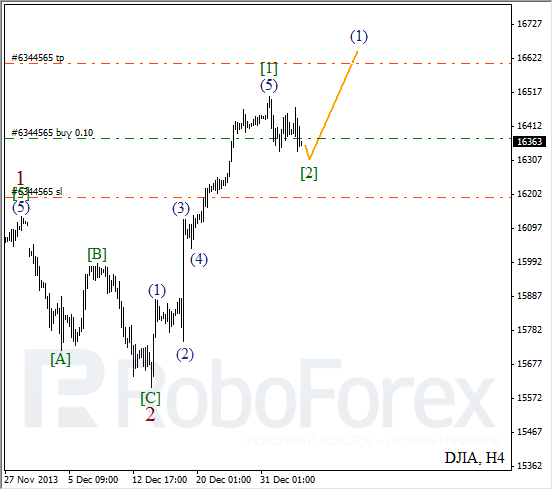 As we can see at the H1 chart, new wave structure implies that price extended the fifth wave inside wave . 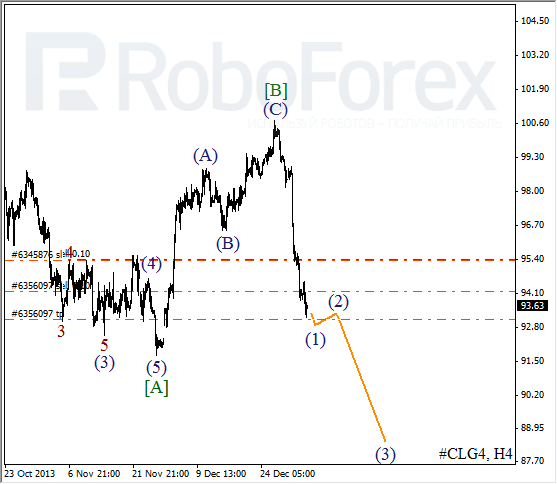 Possibly, wave  is taking the form of double zigzag pattern. In the nearest future, instrument is expected to complete current correction and continue moving upwards. 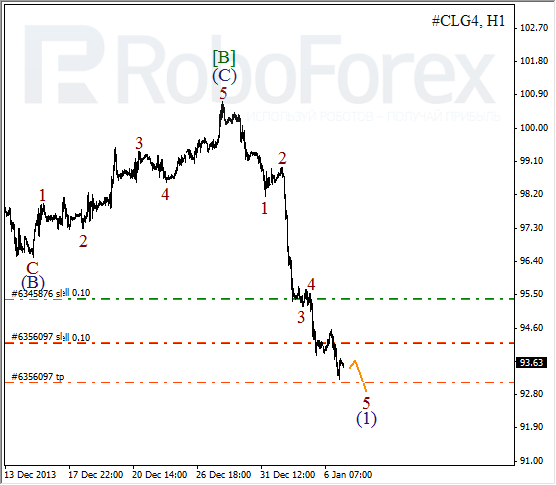 After completing zigzag pattern of wave [B], market started moving downwards inside the first wave. It looks like Oil may start new correction in the nearest future, but frankly speaking, wave (2) is quite unlikely to be very long. 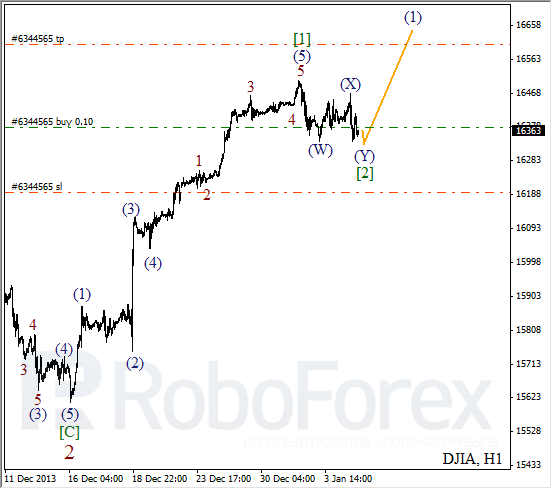 implies that price may continue moving downwards and break minimum during the next several hours.